It was a crushing weight on my chest. I felt like I might die. I was just a teenager when it happened and everything I knew of my world was collapsing. But this wasn’t a physical injury. It was worse. Someone I thought was my friend (translation: someone I thought I could trust) told “everyone” about a secret I shared with her about a girl I had feelings for. We all know what it’s like to be at the receiving end of the pain of a gossip. There have been times I wished someone would’ve just hit me with a shovel than break my trust. But why do gossips act this way? And what does it say about us when we gossip? I mean no disrespect to the Divine inspiration of Scripture, but this one ranks in the “I already knew that” category. But if we know that, why are we so surprised when a gossip breaks our trust? That’s a nice word. They “collect” information about you. Read this well: you better know who they are because if you don’t know, then you’ll find out the hard way. Formally defined, a gossip is someone who “attacks the reputation of another by slander or libel”. It’s a hard insult and it’s difficult to recover from. 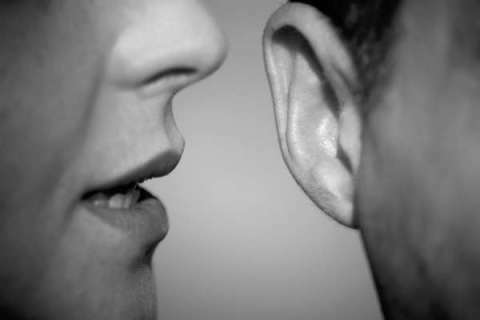 A gossip is someone who has the remarkable ability to give you all the details without knowing any of the facts. In Hebrew, the original language of the Old Testament, the word for “gossip” means literally, “tale-bearer.” As in: one who has stories to tell about others. Oh dear one suffering from the tale-bearing of gossips: these people aren’t gossips because they have told your stories and broken your trust; they have told your stories and broken your trust because they are gossips. Forgive them. Learn from the situation. Move on. Be the “trustworthy person” who guards secrets in their heart and demonstrates the love of Christ to an imperfect world full of imperfect people who need the perfect love of Jesus.